Welcome to First Presbyterian Church Frankfort’s Website! We are located in historic downtown Frankfort, Ky., and within walking distance of several downtown shops, banks, and restaurants. We have been in our current location and building since 1849 and celebrated 200 years of being constituted as a church in 2015. We are members of Downtown Frankfort Inc. and the Chamber of Commerce. All are welcome and will be warmly greeted. Our worship style is mostly traditional with integrated elements of African praise music and drama. Children and youth are regularly incorporated into worship leadership as well. People are lively and fun – no “walking dead” zombies in sight! We would love to see you and tell you more. 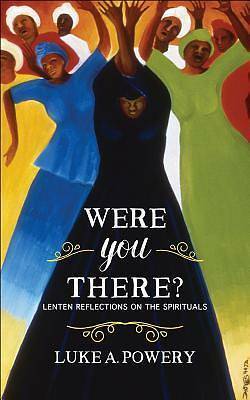 Lenten Study: daily meditations by Luke A. Powery, entitled Were You There? Lenten Reflections on the Spirituals. These are daily meditations on African American spiritual songs. We will take the book home, read it daily, and bring back comments for our time together. The selections in the book are selections of lament – entirely appropriate for our consideration during the season of repentance and reflection. We will gather on Thursday evenings during the regular scheduled Bible study time of 5:00 p.m. to share those comments and learn from each other. Please join us in the Social Hall.